PROFILE It was 1983 when Ian and June Marks found their vineyard site after a long search for the perfect pocket of land throughout almost every wine region in Victoria. With views of Mt Donna Buang, a backdrop of the Warburton ranges, red soil and a coveted north-easterly aspect, it is the perfect spot for cool climate winemaking. Gembrook Hill led the way as part of the 'second wave' of Yarra Valley vignerons, and today is one of the oldest vineyards in the Upper Yarra sub-region. Gembrook's wines are regarded as some of the most outstanding examples of their variety in Australia and are crafted with an old-world winemaking mindset. Most vine age now over twenty years. 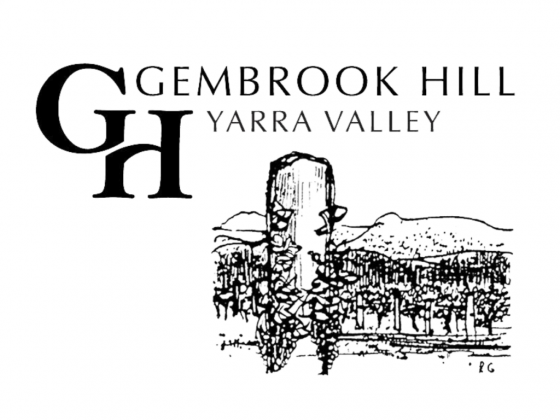 Gembrook Hill was one of the pacesetters in the Yarra Valley with its restrained yet complex style of chardonnay. The sauvignon blanc possesses characteristics found in Sancerre, and is more austere than the typical Australian and New Zealand examples. And the pinot noir has the elegance of old world Burgundy. The most recent addition to the range, the vintage Blanc de Blancs, has been acclaimed as one of the finest of its type, French or otherwise. VINEYARD Aspect: planted in a hilly amphitheatre facing north and east Soil: Red volcanic loam Viticulture: Non-irrigated, hand pruned and harvested; low yielding. Pruning: white varieties to one single cane and one spur (12 buds/vine); pinot to two short canes Vine density: 3333 vines/hectare (3m rows, 1m spacing) Plantings: 2.5 ha of sauvignon blanc, 1.3 ha of chardonnay and 2.2 ha of pinot noir. WINEMAKING "Wine is made in the vineyard" so the approach to winemaking is of minimal handling. The grapes are harvested by hand according to fruit flavours at about 13 degrees baume. The grapes have little or no filtration. Only French oak is used with a variety of hogsheads, barriques and puncheons. The cool climate of the southern Yarra Valley produces a high acid, long-lived style of wine, with elegant and refined fruit flavours and balanced structure. WINEMAKERS Timo Mayer Timo hails from a family of German vignerons near Stuttgart that have been making wine for some 400 years. He came to Australia in 1990 and completed oenology studies at Charles Sturt in Wagga. His first job was just up the road at De Bortoli, and he was under Steve Webber's influence for four years before becoming the winemaker at Gembrook Hill in 2000. He shares the same philosophy as vigneron Ian Marks - that the wine is made in the vineyard, so the approach is of minimal handling with little or no filtration. Timo likes to take his winemaking to the edge and "bring back the funk" and Ian and June give him free reign to do so. Timo also makes his own wine under the "Mayer" label. Andrew Marks At the age of nine, co-winemaker Andrew helped his dad, Ian, regularly in the vineyard at weekends. At 15 he travelled to France as an exchange student and spent half of that time at Chateau la Croix de Louis, Castillon la Bataille, Bordeaux. He graduated from Roseworthy in 1997 and worked with Penfolds and Seppelt for 6 years. He has been involved in 7 overseas vintages, most recently at Celler Espelt on the Costa Brava, Spain. Other vintages include Etienne Sauzet in Puligny Montrachet, the Languedoc in 2002 and Sonoma County, USA in 2000.As well as making Gembrook Hill wines with Timo, Andrew has developed his own label, The Wanderer, which aims to deliver individual wines of flavour, character and balance.